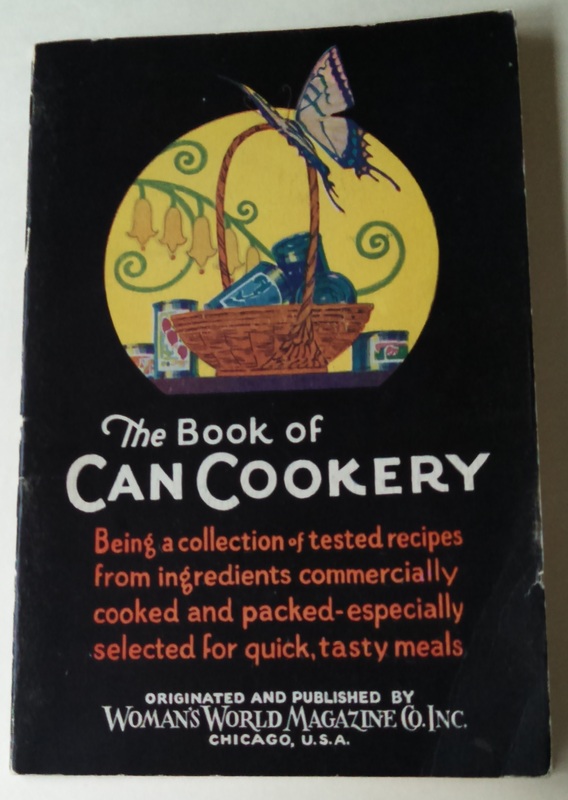 At Powell’s the other day, I picked up a pamphlet-style cookbook from 1928 called The Book of Can Cookery, published by Woman’s World magazine. Not to be confused with the modern tabloid magazine of the same name, this Woman’s World began in the late 19th century and ceased publication in 1940. It published many cookbooks in the 1920s with titles such as The Book of Fifty Two Sunday Dinners. I wasn’t quite sure what to expect. While Can Cookery portrays commercially canned foods as convenient, they’re also healthy. Cans allow the homemaker to serve a variety of foods, and the canning process preserves nutrients and renders the contents sterile: all selling points in these early years of vitamins and the germ theory, fomenting suspicions against both fresh foods and, especially, home-canned foods. In the 1920s, anything that could be canned, was: Can Cookery employs canned veal loaf, canned cod cakes, canned lobster, and canned strawberries as well as more familiar fruits and vegetables and of course tuna fish. 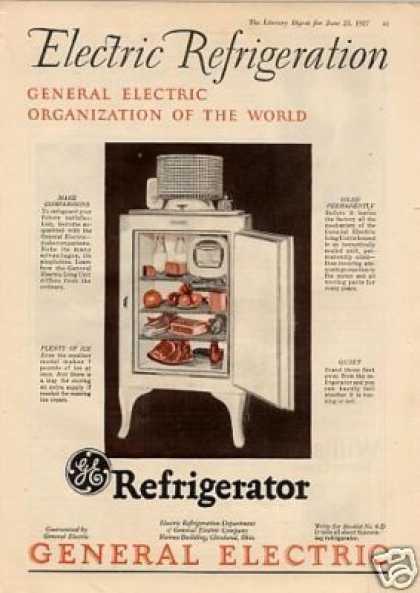 But despite the convenience of canned foods, the 1928 housewife was also expected to have a refrigerator, or at the very least an icebox. 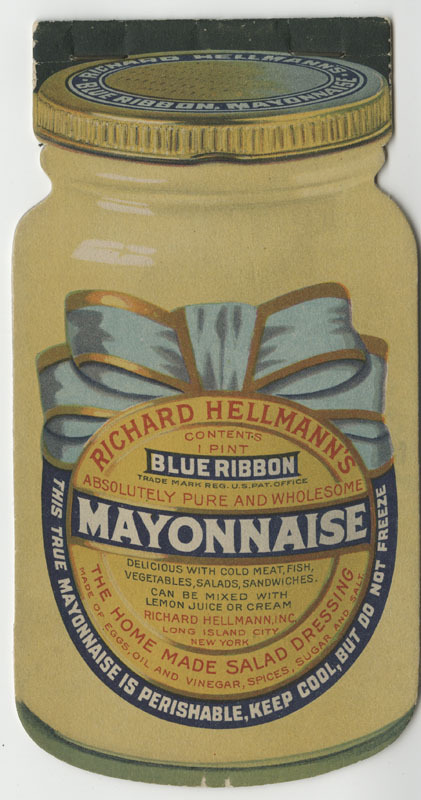 There are many recipes for chilled and jelled dishes, and mayonnaise is used to top anything resembling a salad. The “Poinsettia Salad” includes a ring of lettuce leaves, another of pineapple rings (covered with riced cream cheese) topped with ground nuts, and the whole slathered with mayonnaise thinned with cream and decorated with pimientos cut into leaf shapes. Canned soup, maraschino cherries, and marshmallows (also canned) have already made their appearance at the American table in 1928. While there is no specific reference to Jell-O, the “Jellied Hawaiian Salad” does use “prepared lemon jelly powder.” Many recipes involve combining two cans of soup or dressing up canned soup, such as the “recipe” for canned tomato soup that advises “Add sufficient boiling water to make of desired consistency, season with pepper, salt, butter. Sprinkle each portion with minced parsley and toast cubes.” But it is assumed that the reader can make a piecrust and has something called “French dressing” at hand for marinating vegetables (which are then covered in mayonnaise). 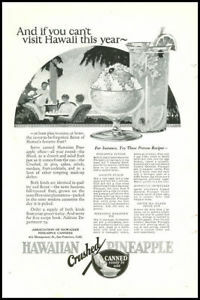 Several recipes riff on combinations of whipped cream, canned pineapple, and marshmallows, and the “Ring Salad with Cucumber Mayonnaise” consists of jellied vegetable soup in a ring mold with the cavity filled with “mayonnaise to which finely chopped cucumber had been added.” The “Jellied Hawaiian Salad” (with, of course, pineapple, as well as canned coconut and maraschino cherries) is served with “marshmallow mayonnaise.” But there are also homey recipes for corn chowder and “little chicken tarts” with only a minor canned component. Can Cookery even makes some attempts at ethnic food. “Mexican meatloaf” (made with canned tomato soup) includes two kinds of meat and chopped green pepper and canned pimientos, which is I guess the Mexican part. “Mexican salad” also has pimientos, and for some reason, pineapple. “Jambalaya” features canned shrimp, as does “Shrimp, Oriental Style” which adds diced celery and green pepper to the shrimp, along with yet more pineapple, all sautéed in butter and seasoned with paprika. The “Italian” foods, however, have no redeeming qualities: “Italian Beans and Spaghetti” consists of a can of baked beans and a can of tomato soup mixed with cooked spaghetti. “Sausage Italian style” has a can of Vienna sausages (“heated in the can”) topped with a can of tomato sauce in a ring of macaroni. The pièce de résistance, however, is “polenta,” made of cold leftover oatmeal molded in a can, sliced, sprinkled with cheese, and baked with tomato sauce. My uncle Ermanno would not be pleased.